Red Phantom.. My Burnin’ Desire! That particular bike is the BAJAJ Pulsar 180 DTS-i and this bike really surprise me for all the features and technology it has, and what realy makes me jumps is the price tag! Rp16.500.000,00 for this babe feels like a steal! India as a Bike Producer? I’ve been to India and stayed there for a while ( 5 years 1989-1994 ), at that time India’s auto seem like old school compared to Indonesia, but later i realized that was because their Government Policy to protect local auto producer, and now they really taste the fruit! Unlike Indonesia, India has developed into an industry giant with their own national brand! India can produce anything with their own technology from needles, sewing machines, microprocessors, motorcycles, cars, trucks, even they build their own tanks and other defense needs! If I’m not mistaken even Cisco developed their Software in India! 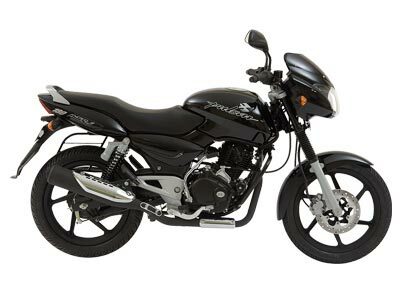 So.. from my opinion, India’s motorcycle is worth to try, and Bajaj has been exporting this motorcycle to many countries like Sri Lanka, Colombia, Bangladesh, Mexico, Central America, Peru and Egypt, And from my googling experience BAJAJ motorcycle have a greate review from owners from all over those countries. And don’t forget that Bajay that are widely used in Indonesia is from the same manufacturer! Those Tough BASTARDS still runs well on the streets of Jakarta trough these years (most of them are produced between 1970-1980)! After my visit to that show room i found my self thinking and daydreaming the Pulsar.. (oh my gosh I’m in love!) and after discussing for a while with my wife and my mother, we all agreed to pick up a RED Pulsar 180 DTS-i with a soft loan from my mum (thanx mum I love you very much) and last Friday my Red Hot Burnin Desire Arrived! My first ride is like a dream never before in my life I’ve been stared at on the street :p and i have to get used to it! This bike looks darn cool! but on top of that, this bike is really powerful, comfortable and packed with loads of high tech goodies 🙂 . Its a shame that the registration number would take 3 weeks.. sigh.. cant ride my new bike to far from home.. Being an Indonesian makes me envy the accomplishment that the Indian has reached, and hope deep fully that one day the Indonesian Government together with Indonesian Local Industries will make a big leap forward with making a national brand for automobile with technology accomplishment in mind. Me my self also have to give contribution.. So what will it be Yogha? ← Ndiyo! Solusi untuk Sekolah Indonesia! nembak langsung dia : duuueeerr! jadinya kapan kita ke bandung sob? Mungkin kita Kopdar dulu ama anak2 biar bisa nentuin tanggal ama panitia kecil, gimana? itu bukan motor dines khan….??? Motor yg satu ini emang impian para bikers yang hobby touring.Tehnologi lebih maju dari motor2 nipon. Tp klo bisa sperpart nya dong biar lebih gampang di cari. Fulus Receh yg mau berjuang kerja keras nyariin Fulus yg Banyaaak sekali buat Ane. Ntar Ane bisa beli Motor Bajaj type yg paling Top ! ! ! Pasti kebeli deh motor2 Bajaj. Pulsar vanguna ilavasama oru alagana segapana ponnu (Polladhavan dhivya madhiri) kidaikuma????? Nan Polladhavanan dhanush madiri irupen…………….